I’ve been a praying person for much of my life. Has it worked? Has it fixed me entirely? Apparently not, because I still have a long way to grow. You’ve no doubt prayed about some things, hoping for prayer to fix it, right? When we’re sick, we pray for God to heal us. When we’re poor, we pray for God to provide. When we’ve been wronged, we pray for God to make it right. All of those prayers are good prayers. God calls on us to trust him in such moments to move, to work, and to act on our behalf. But still, prayer doesn’t “fix” all of the situations we encounter. By the way, here’s a link to my list of 20 of the Best Christian Books on Prayer. In the Book of Acts, chapter four, we read the story of Peter and John being arrested for preaching about Jesus. Later, they’re released after a strong lecture from the temple police about not continuing to spread the gospel. The church, in response, begins to pray. And here’s the spoiler… the persecution issue actually gets worse. What did the church pray for in the face of persecution? Greater boldness. Greater power. A greater witness. After this prayer, the meeting place shook, and they were all filled with the Holy Spirit. Then they preached the word of God with boldness. All the believers were united in heart and mind. And they felt that what they owned was not their own, so they shared everything they had. We sometimes place a burden on prayer that prayer was never meant to handle. We treat prayer like a magic formula. And when the problem doesn’t resolve or go away quickly, we feel disappointed with God, discouraged about our circumstances, and disgusted with our own lack of faith. What if, instead of expecting prayer to “fix” all of our negative circumstances, we trusted instead that God designed prayer to change the variables. Could it be that when I’m asking for God to fix my broken finances, his real desire is to change and grow my ability to manage my finances? Perhaps, instead of miraculously fixing areas of conflict in my marriage, God’s real aim is to change me and my spouse to be more like Jesus to each other. God often heals and provides in response to prayer in dramatic and miraculous ways. I’ve seen it. I believe in it. But more often, he goes to work changing us and the people around us from the inside out – sometimes slowly and progressively – to be able to handle our challenges in different ways. 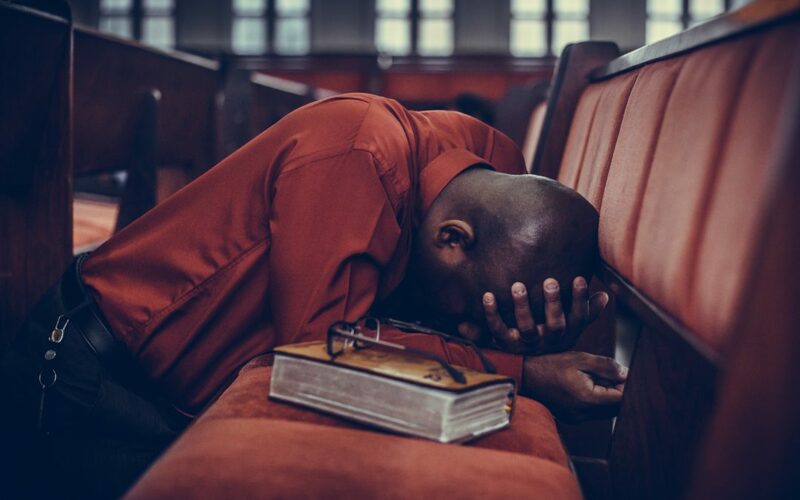 Here’s what prayer does do… Prayer changes all of the variables at work in any given situation, making possible either a miraculous and instantaneous deliverance or the slow, progressive change and growth necessary for overcoming adversity. Handling life without prayer is like playing basketball with a flat ball. It just doesn’t work. And we expect prayer to make us pro players who never miss a shot overnight. But prayer really gives us an inflated ball – better equipment, better skills, better opportunities, more strength and speed and stamina – so the game becomes winnable. Prayer isn’t a magic formula that instantly and easily fixes everything. But prayer is definitely powerful to change the variables of any situation to which we apply its power. I'll send a few emails per week with new articles, tools, and resources. Some will be about life and leadership. Others will be about digital marketing. And I'll immediately send you several free resources, including 92 Questions for Auditing Your Church's Health. I’m glad, Shirley, thanks for your encouragement! Amen. Thank you for this detailed insight to what God wants as the obvious. I will share with others. Thanks so much for that, Yvette! This is a very balanced and practical view on prayer. Thanks Brandon for the insight. But did you notice that they did not pray that the persecution should stop just as Samson in his last prayer did not include his own survival in his last prayer petition and Abraham did not continue his bargaining with God on the destruction of Sodom? Since all our prayers are supposed to have their Yes Answer in Christ , wouldn’t God has answered them if they all had asked? What the disciples got was what they asked for. Ditto Samson and Abraham. If we cannot say with certainty that our specific requests will be granted in prayer, how do we pray “ believing that we receive what we have asked for and we shall have it” ?